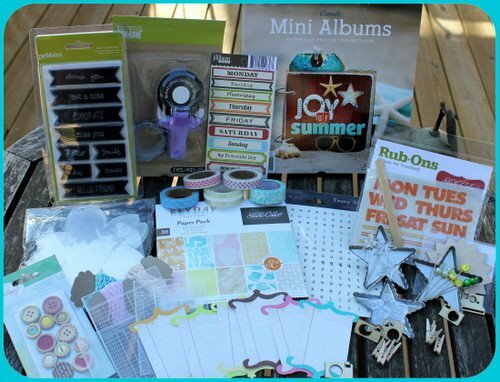 Leah's Crafty Life: I can see Clearly - Paper Issues Hop! A new theme is up this week over at Paper Issues! The theme is I can see clearly now... think transparencies, acrylic, acetate, etc, and runs through July 14th!! Go.. LINK UP your creations.. and follow the hop. 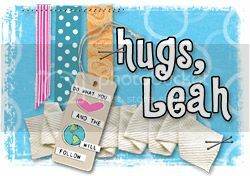 I am using a brand new CHA-S card from Clear Scraps Send it Clear line. The angel interlocks to keep the card closed. 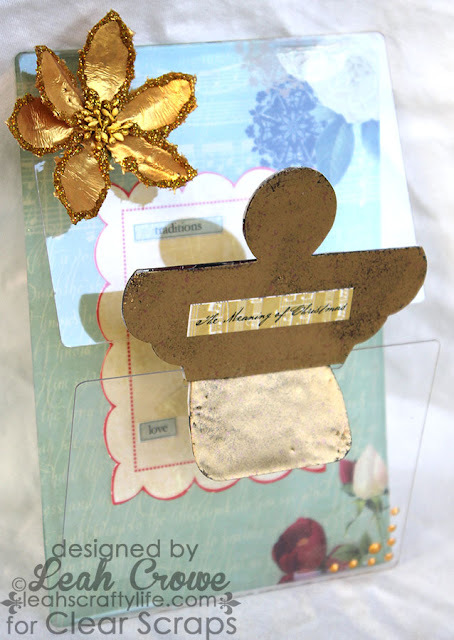 I used stampendous aged gold embossing powder on the angel to give it that gorgeous finish, as well as Websters Pages PP. When the card opens up, there is plenty of room to write your sentiment on the journal card. The card is 100% see through and makes designing with these a dream, there are so many possibilities to create something unique that will be treasured. Don't forget to use code LEAH20 in the paperissues etsy shop to receive 20% off your order! Wowwwwwwww! This is GORGEOUS!! I loveeeeee the angel!!! How cool, I've never seen a see through card before!! Looks beautiful!!! What a wonderfully elegant card! I love the interlocking capability. Those clear cards are now on my new CHA wish list. TFS! Who doesn't love Clear Scraps?? Love the card and I have some of that embossing powder too. I really should bust it out and play. How cool is that??? Love the layers and that angel is just too sweet! beautiful card and love that angel. So gorgeous Leah!! 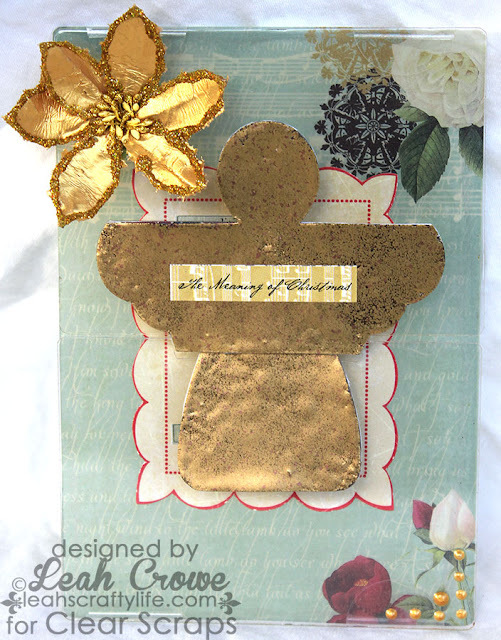 You sold me at gold embossing ;) Love the way the angel meets up to fold the card!! This is beautiful! Really turned out perfect! This is fabulous! Love the angel! Just so cool! Love this card Leah- it's so neat to see all the different ways people have used the transparencies! That is a gorgeous card. I really like the concept. That's beautiful, what an amazing new product too! so beautiful! I love the edginess of the acetate in contrast with the softness of the design. Awesome! That card is beautiful!!! Love how it opens like that! Great idea Leah, I will have to try this too. Thanks for the hop! Love your angel card. Thanks for the chance to win. I used to live in Roanoke, Old SW. How is the ol' town? I just became a follower. Wish you had email delivery of posts. oh my gosh I love this card! What a fabulous flower and angel! Christmas in July...why can't I be so organized??? Loving all the gold! beautiful card!!!! love the angel, and how you used her to keep the card closed!! There you go being all talented again! Very cool idea, it's a eye-catching card! Super work! What an amazing card! Cool idea!! So sweet! I am a new follower! your angel made me smile! gorgeous! Very cute. I love your details.